As I watch the news, there is a sense that the world has gone to hell. 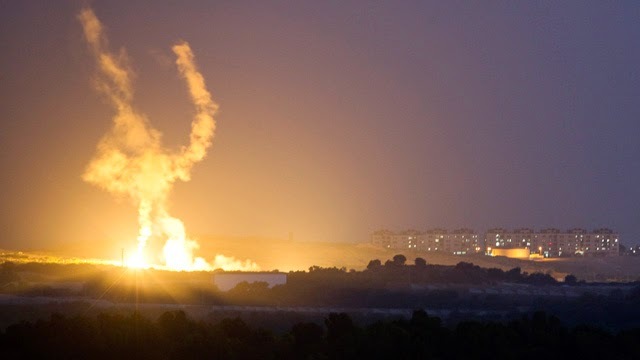 On the one hand, Israel had just begun the ground offensive of the Gaza Strip. This is arguably the more crucial part of the operation, one that officially started when they were bombarded by rockets. In truth, it was a mission for which they have prepared for in the earnest for the longest time. Rightly or wrongly, this would be an incursion that would cost significant losses, perhaps more so for the Palestinians, in terms of human life. On the other, news that the Malaysian Airline flight MH17 was shot down in Ukrainian territory was news that shook me more than just a bit. In the last embers of consciousness I caught wind of such an occurrence, somewhere around midnight, but my physical and mental state of the time did not process that further until earlier the next morning. Switching on the television at 3 in the morning, the severity of the situation soon became crystal clear in the worst possible manner. In an interesting happenstance, even the news channels were caught out. Predictably, not all of the stations, even the biggest international networks, had reporters on hand at the MH17 crash site. Placed firmly near the Russian border, more importantly it is also a firm stronghold of separatists keen on annexation from Ukraine itself. The networks, then, did the best they could. The BBC led with events in Gaza, as did a lot of the other networks. CNN, however, focused their attention on MH17, as they tried in vain to provide the best possible picture. In the past, and even in this instance, they have come under fire providing inaccurate information that misled many. In that instance, though, I was greatly informed by the work of their lead presenters in that slot, Christiane Amanpour and Anderson Cooper. Based on what I have seen, I believe more of the erroneous information came from the special panel members invited for insight and soundbites, and such it is difficult to claim that they’re deliberately misinforming the public. I think poor journalism in instances rather than an actual, malicious agenda is to be considered here. I even switched on Fox News, who did focus a lot more on the ground offensive in Gaza. Israel and Russia have been a major part of the Fox News network, playing a large role in identifying themselves as the conservative outlet battling against the liberal mainstream media. Whether this is actually true or false is irrelevant, for the newsmen makes it true. Fox News have always been in favour of right wing politicians, providing room for the likes of Bill O’Reilly, Sean Hannity and even Sarah Palin to expand on their perspectives. In this regard, it is not surprising if a right wing government that sought to defend itself no matter what is to be presentedly as favourably as possible. I do not know how much of this partisan spirit has coloured their coverage, but their reporter did a good job of providing the feel on the ground. I hung on every word, shifting and surfing from channel to channel. My priority at the moment was certainly the downed flight, primarily because…I just could not believe it. It felt surreal, and the mysterious circumstances surrounding it as well as its proximity means that I was absolutely shattered and intrigued both at the same time. My mind raced with the possibilities; in the past, this could have easily be seen as an act of war. War is now not necessarily and always fought on the battlefields. That remains true as it ever was, but the hearts and minds of peoples are decided largely by the information they receive. That, as much as anything else, helps to set the tone for conflicts. It determines the good guys and the bad, right from the off, almost without exception. Russia may be well complicit in MH17 being knocked out of the sky, but even if they’re not, the media, both at home and abroad, has ensured that in this narrative at least, Vladimir Putin stands alone as the villain that will just not go away. We are all stakeholders in these conflicts, whether we realise it or not. Even before the Malaysia Airlines flight got shot, the fact remains that human lives were being put at risk for political purposes in a part of the world we do not necesssarily care about. Even for me, I kept up to date almost by default, partly out of interest and partly out of scouring for footage to be used for class. Just as reading broadens the minds, exposing ourselves to different views and perspectives may do wonders for our understanding of the world and its politics. It's about being confronted by different worlds and ideas, and understanding that even if we are apart, we are united as human beings, one way or another. My heart breaks for those involved in the flight, and I send them nothing but the best wishes and prayers I can for now. In a world that seems to teeter on the edge every once in a while, we do the best we can. I think for now, this is the best that can be done. :'( May Allah grant them the best place in paradise. Ameen. "It's about being confronted by different worlds and ideas, and understanding that even if we are apart, we are united as human beings, one way or another." Ezzah: Indeed. For now, prayers and good wishes are in order. Pam: I'm glad you see it that way.